Using data collected by citizen scientists, researchers have developed new, open-source algorithms to automatically detect bat echolocation calls in audio recordings. Oisin Mac Aodha, formerly of University College London, now at Caltech, and colleagues at University College London present their new approach in PLOS Computational Biology. Nearly 80 percent of bat species use echolocation calls for tasks such as navigation and hunting prey. Detecting these sounds in audio recordings can help scientists monitor changes in bat populations, and since bats are especially sensitive to climate change, bat calls can serve as key indicators of ecosystem health. 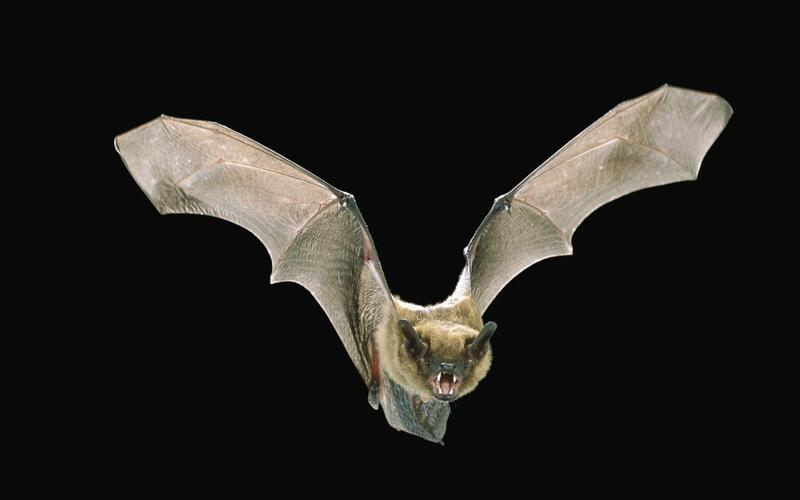 However, it can be challenging to reliably detect bat calls in noisy, real-world recordings. To address this challenge, Mac Aodha and colleagues built new bat-call-detection algorithms based on recent developments in machine learning. Their algorithm relies on supervised learning with deep convolutional neural networks (CNNs), allowing them to learn directly from audio data to automatically and reliably detect bat calls. CNNs had never before been applied to bat monitoring, mainly because not enough human-analyzed data was available to train them. To amass enough data, Mac Aodha and colleagues turned to thousands of citizen scientists who collected and annotated audio datasets as participants in the Indicator Bats Programme and Bat Detective (http://www.batdetective.org) project. Once the algorithms were trained, the researchers put them to the test by applying them to several datasets that represent challenging, real-world monitoring scenarios. They found that their deep-learning approach was more accurate and reliable than existing algorithms and commercial tools for monitoring bat calls. "Our method enables us to automatically estimate bat activity from multi-year, large-scale, audio monitoring programs with very little manual effort, enabling us to scale up monitoring efforts globally," Mac Aodha says. Their algorithm is currently deployed as part of a real-time bat monitoring project at the Queen Elizabeth Olympic Park in east London (https://naturesmartcities.com). The team is now working to develop systems that can extract more fine-grained information from audio recordings, such as the presence of specific bat species. Funding: This work was supported financially through the Darwin Initiative (Awards 15003, 161333, EIDPR075), the Zooniverse, the People's Trust for Endangered Species, Mammals Trust UK, the Leverhulme Trust (Philip Leverhulme Prize for KEJ), NERC (NE/P016677/1), and EPSRC (EP/K015664/1 and EP/K503745/1). The funders had no role in study design, data collection and analysis, decision to publish, or preparation of the manuscript.